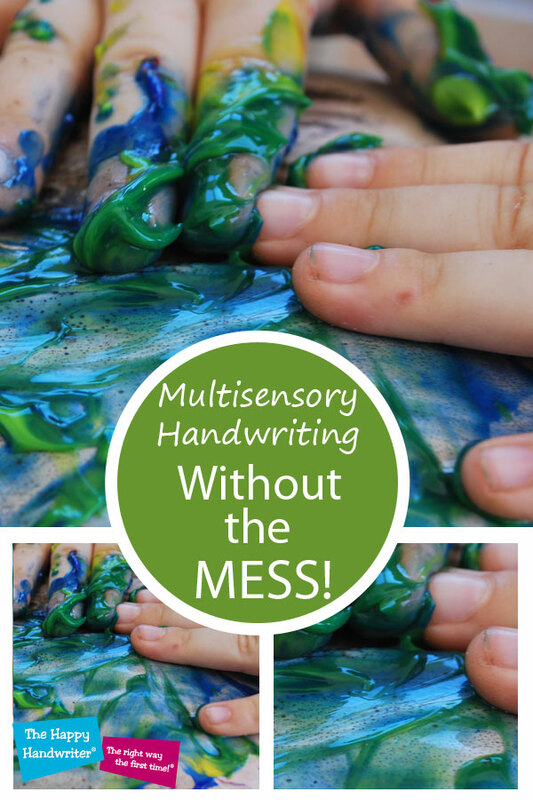 Why a Multi-Sensory Handwriting Curriculum? Multi-sensory is defined by the Collins English Dictionary as “involving or using more than one of the senses.” So, what is the big deal about this when it comes to a multi-sensory approach to writing? A Multisensory Handwriting Programme is a Must! Over time we have learned that using sensory input, such as touch or tactile input, is going to enhance the learning experience. Being able to explore an object through touch, as well as being able to see it, is going to give our brains more information to store about it. And the same is true of handwriting. To establish a fluid and automatic handwriting script, all the “motor maps” or sets of instructions in the brain on how to form the letters, need to be established in the brain. The more organized sensory information we can give the brain about each letter, the better it is able to remember. So, a multi-sensory handwriting programme is a must. 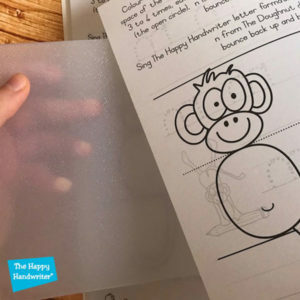 And that is what we offer with The Happy Handwriter Grade 1 Multisensory Handwriting Packet! Could this be because “tell me” only engages the auditory sense? While “involving me” is giving the most sensory input? Why a Multi-Sensory Approach to Writing? 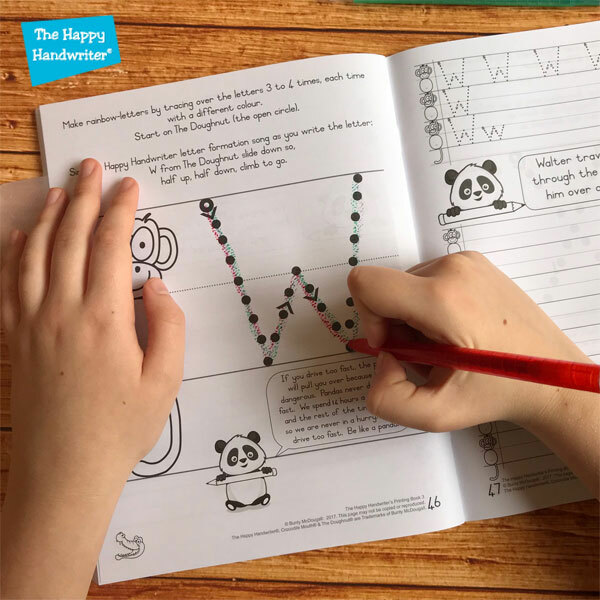 Over the years research into handwriting acquisition has looked at the different sensory aspects and we have learned how each contributes towards our end goal. And this is what the big deal is about multisensory. If we engage the senses while we teach handwriting we are going to be able to teach it smarter. We are going to be able to help children achieve fluid automatic handwriting in a more efficient way. And in the context of our jam packed curricula, we need to do this. If we start with Benjamin Franklin’s “tell me”, we are looking at auditory input. 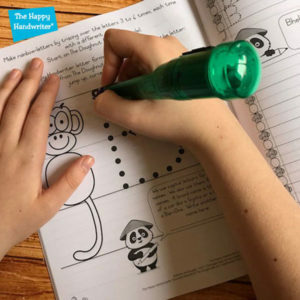 Research has shown us that where the abilities of two groups of children were compared following handwriting instruction that used only copying, against those where the directions the pencil should follow were verbalized, handwriting acquisition was significantly improved. 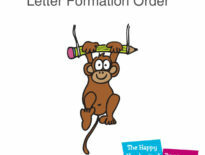 The Happy Handwriter has applied this with the letter and number formation songs. Verbalizing, and even more, singing the directions while forming the letters is assisting to lay down the motor maps for letter formation in the brain. And this is so easy to apply – we don’t need more time, we don’t need fancy equipment, we just need to learn the tune and read off the words of the formation songs. Easy as that. And now you are adding to your multi-sensory curriculum for handwriting. When it comes to touch or tactile input, the internet is brimming with stunning ideas. However, one challenge that faces us in the classroom is that it is difficult – no, impossible – to watch all the children at the same time. We also know that if you practice a letter in the incorrect formation pattern – possibly reversed – that is how we are going to lay down the motor map in the brain – in the incorrect formation pattern. As far as possible, we would like our children to be benefiting from the tactile input, but in the correct formation pattern. Enter The Happy Handwriter’s texture overlay board. The transparent board has a raised textural surface, but because you can see through it, it can be placed over the correct letter form and the child can trace over that. So, now our children can sing the formation song while receiving the tactile input and now our multi-sensory teaching strategies are growing. 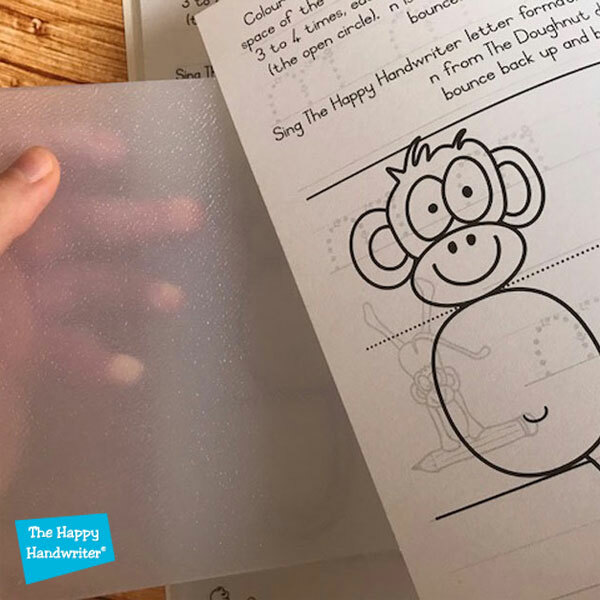 That diverse little texture board can also be used under the page, so the child writes on a textured surface and gets additional input that way. Benjamin Franklin says we need to be “involved” and involved they are as they build the letters. The starting point in The Doughnut®, which while not sensory, is certainly a rule that will assist with formations and reduce reversals. They sing while they build – a double sensory whammy. And they sing while they write. Always in the correct formation pattern. Proprioception is a word that is thrown about all the time. But what it’s role in the multisensory approach to handwriting? The proprioceptors are tiny sensory receptors in our muscles and joints all around our bodies, that give us information about where we are in space. They tell us if our arm is up and they contribute towards telling us how bent our fingers are when holding the pencil. They help the brain to know in which direction the fingers must move to form the letters. Vibration is a special kind of proprioceptive input and this is where the squiggle pen comes in. The vibrational input enhances the feedback to the brain while the letter is being formed. So, if you are singing the letter formation song while using the squiggle pen to form the letters, you are getting a double overlay of sensory input – you are enhancing your multi-sensory learning activities with more input to the brain for it to store in its motor map on how to form letters. And if those motor maps are well established and easily recruited, then we are going to be on our way to a fluid and automatic script. And so we harness the multisensory input and build up the multisensory layers. 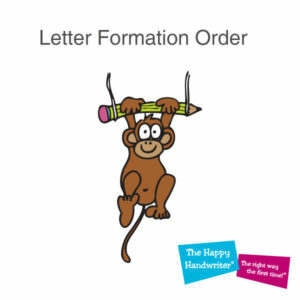 And we make handwriting teaching and learning exciting with fun letter formation activities. We make it smart and effective. See the Grade 2 Multisensory Handwriting Packet that your children could be using here! 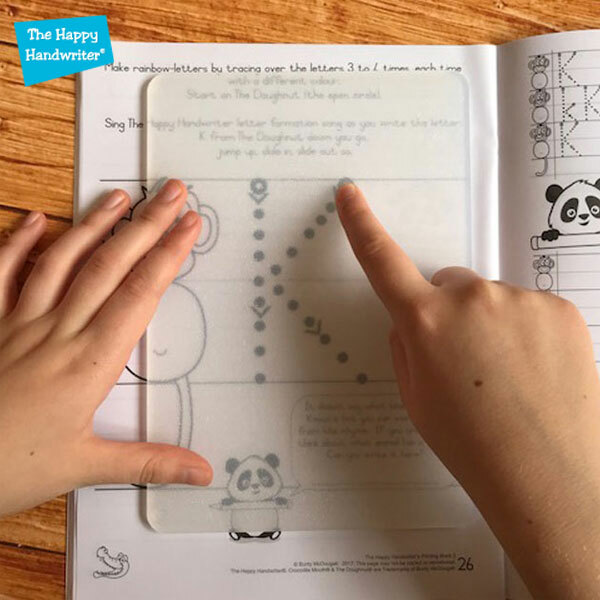 Even if time for teaching handwriting is limited, we can use a multisensory approach to writing that is easily accessible and doesn’t make a huge mess. Why wouldn’t we? !